The decree on additional measures to improve management in the agrarian sector is an integral part of the agrarian policy pursued by Azerbaijani President Ilham Aliyev, Trend reports referring to the statement of Azerbaijani Ministry of Agriculture. 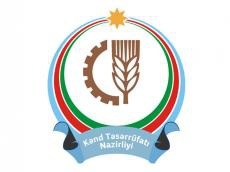 The Agency for Agrarian Services has been established under the Ministry of Agriculture on the basis of the State Phytosanitary Control Service, the State Veterinary Service, the State Service for Registration of Plant Varieties and Seed Quality and the State Main Technical Supervision Service upon President Aliyev’s decree dated Jan. 14. The ongoing agrarian reforms in the country ensure sustainable and successful development of the agricultural sector. The Agency for Agrarian Services under the Ministry of Agriculture will organize and manage veterinary and phytosanitary services, control their quality, coordinate the activity of state agricultural development centers in this field. The Agency will register agricultural equipment, control equipment and render services in this field through the State Agricultural Development Centers. The Agency will ensure optimization, flexible and effective management. The ongoing reforms will enable the implementation of innovative solutions in the agricultural sector, accelerate the transition to e-services and increase transparency. The single standards will be applied thanks to the reforms in agricultural services. Presently, up to 70 services on various kinds of activity, the number of which will grow, are rendered to the farmers in the centers.